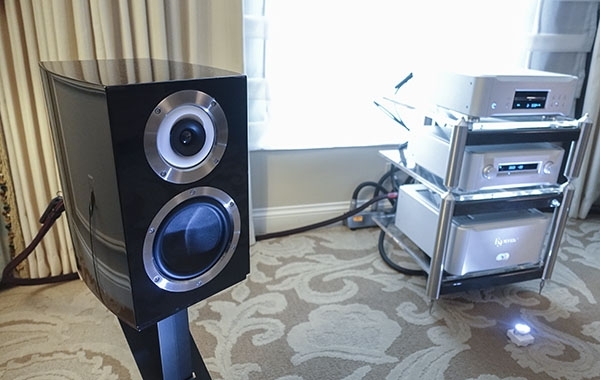 Made in Slovenia, the Ubiq One ($13,750/pair) is a striking-looking speaker, whose sound (in a system with the Absolare Passion integrated amplifier and Memory Player 64) had a horn-like quickness. I looked up Ubiq Audio on the internet, and was interested to note that Igor Kante, Ubiq's CEO and project leader, is a big fan of Avantgarde horns, as am I. 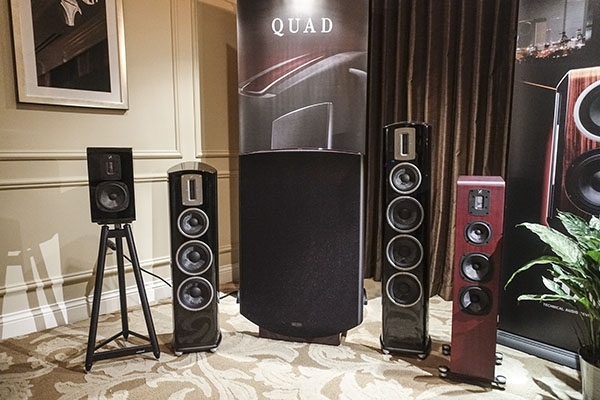 Now distributed in the US by MoFi distribution, the venerable Quad Electroacoustics has a new non-electrostatic line, the Z series, which uses woven glass-fiber cones for the midrange and bass units, allied to a "true ribbon" tweeter. The tweeter is said to have descended from the original Corner Ribbon, which preceded the electrostatic Quad ESL-57. 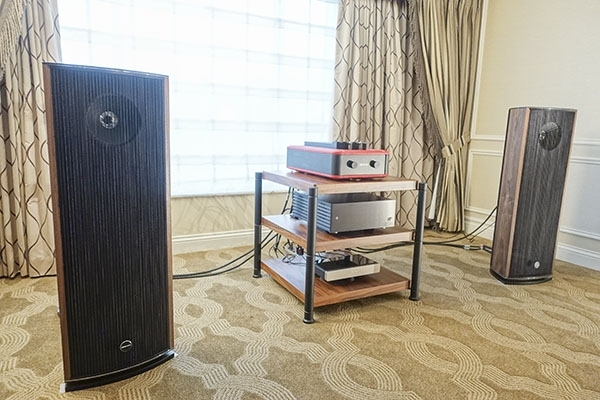 On static display at CES 2016 were the Z-3 ($4199/pair, left side of the ESL-2812 in the center of the photo) and the Z-4 ($4000/pair, on the right). Penaudio: "Clear sound from the north"
"Clear sound from the north" is how the speakers from Penaudio are identified in the product literature, and my immediate thought was that this is a speaker from The Great White North, ie, Canada. Actually, the speakers are designed in Finland, with the factory in Latvia. 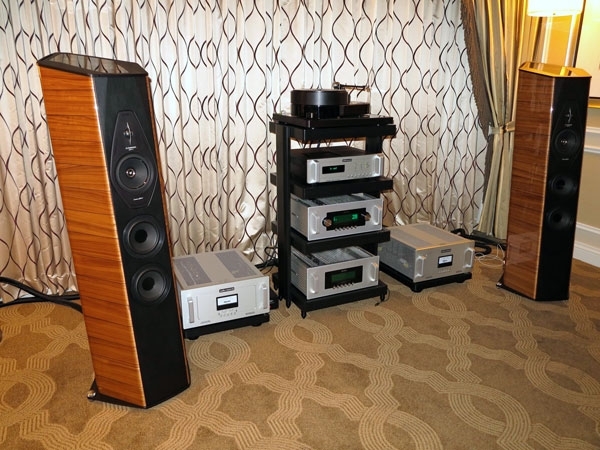 The speaker in the photo is the Serenade Signature ($10,999/pair), a slim floorstander that uses custom SEAS drivers. Good sound with Conrad-Johnson electronics. The French speaker company, Cabasse, is probably best known for their huge spherical speaker (La Sphèrereviewed by Michael Fremer in September 2008) but they make a wide range of speakers, most of them more conventional-looking. Making its US debut at CES 2016 was the Murano, a 3-way bookshelf type with a coaxial tweeter. I find it hard to believe, but only in the last 5 or 10 years did the museum in Cremona, Italy, where famed violinmaker Antonio Stradivari was born in 1644, receive the first violin that Stradivari ever made. To honor the occasion, Sonus Faber loudspeakers has issued Il Cremonese ($45,000/pair), whose price is far lower than that violin. An extension of Sonus Faber's Cremona and Stradivarius series, Il Cremonese incorporates technology from the company's higher-level models. Paolo Tezzon custom-designed all drivers to achieve greater accuracy and coherency. Alvin Lloyd has just introduced the handsome new Grand Prix Audio Monaco V2.0 turntable (price somewhere between $35,000 and $38,000). Set to ship in February, the turntable offers multiple advancements that can be added to existing Monaco models. "The plinth is the same, but virtually everything else is new," Alvin explained. "You can even request a platter color to match your speakers." In this case, the color of your hat or gloves really can match your shoes or, to honor the speaker analogy, your lipstick, should you so indulge. 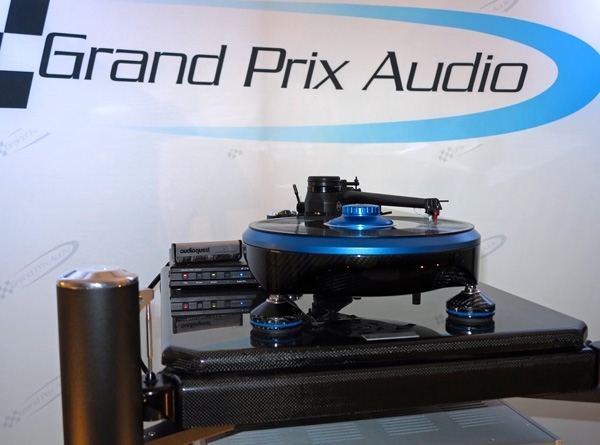 With an older Grand Prix Audio Monaco 1.5 turntable ($23,500) outfitted with a Tri-Planar Ultimate 12" tonearm ($9800) and PC-1S cartridge ($8500) as source, Japanese manufactured Zanden Audio Systems electronics, cables, and room treatment allied with Canadian sourced Verity Audio Sarastro IIS 3-way loudspeakers in custom finish ($55,195/pair) to produce great soundstaging on a Bach LP. Equally wining was the enticing sound on an LP from Ray Brown. Stunning to behold, eh? 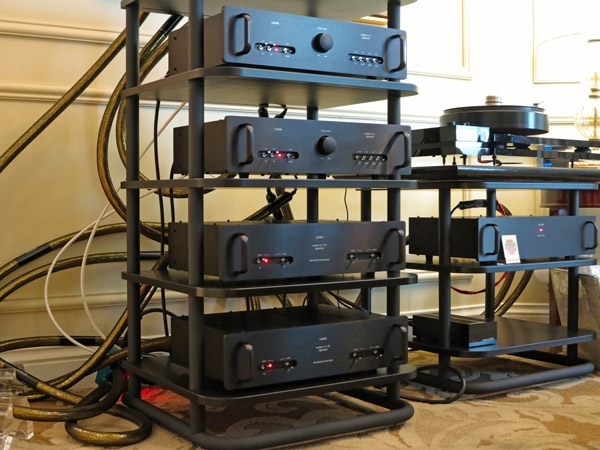 Cast your eyes on the US debut of Aries Cerat's new line of equipment from Cyprus, imported by Joshua Masongsong of Texas-based Believe High Fidelity. 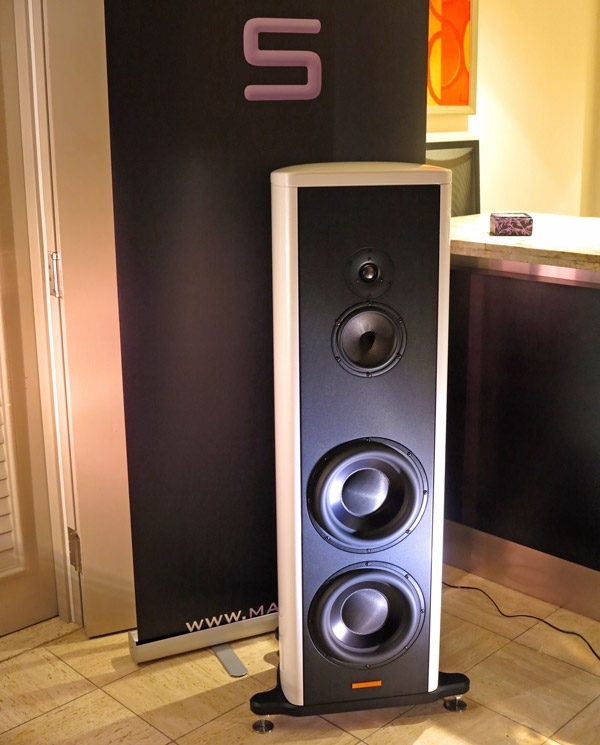 In the middle of crazy, crazy Las Vegas, I felt as though I was immersed in a nice warm bath as I listened to Aries Cerat's Symphonia Aries Limited Edition 3-way horn loudspeakers ($125,000/pair gets you 101dB sensitivity and only one of five pairs in existence), Concero 65 SET class-A monoblocks ($35,000/pair), Impera Signature Edition Mk.II preamp ($82,500), and Kassandra Reference Mk II PCM DAC ($35,000). 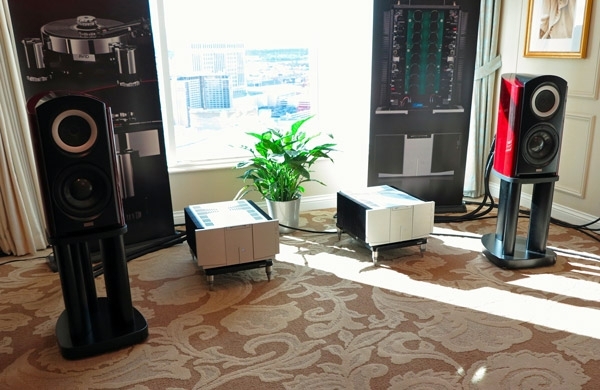 The latest version of the VK-655SE monoblock amplifiers ($33,000/pair) from BAT (Balanced Audio Technology) may have been out for awhile, but CES marked their first appearance at any show. 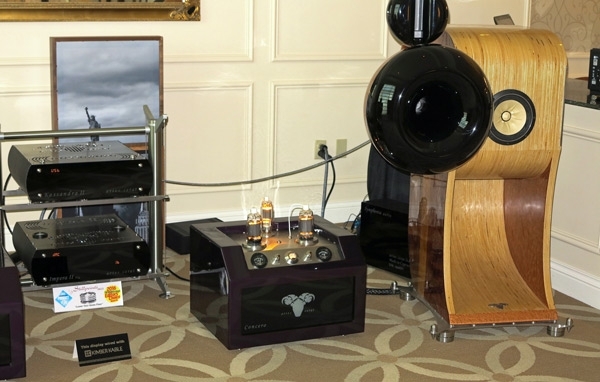 A dual-mono design available in both stereo and monoblock configurations, the amp exuded beautiful tube-like warmth (without the use of tubes) on a recording of Tchaikovsky's Symphony 6, with TAD loudspeakers. 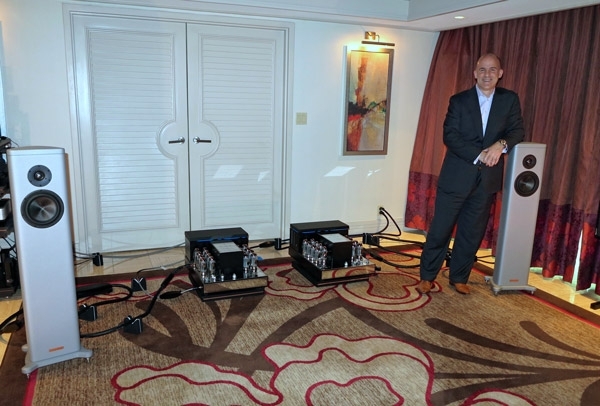 Pass Labs may laugh a bit at its excess, as in the XS series, but Vladimir Lamm saves his smiles for the sounds of his brand-new, four-box LL 1.1 Signature line level preamplifier ($45,390/pair). That "pair" in the price is not a typo. This baby consists of two mono preamps plus two separate power supplies! Far more sonically successful was the larger Lamm room. 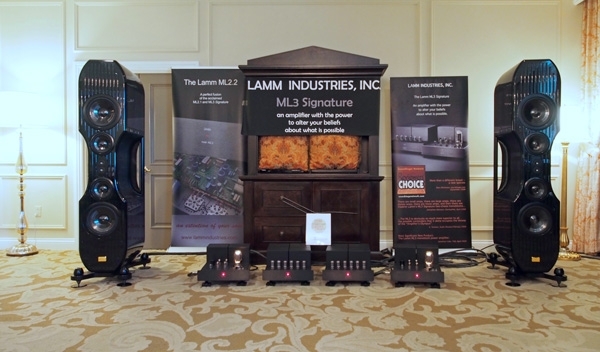 There, $266,950 worth of Lamm components, including the new LL 1.1 Signature line level preamplifier ($45,390/pair) and ML3 Signature SET mono power amplifiers ($139,490/pair), joined the big Kharma Exquisite Midi Grand speakers with F-drivers ($225,000/pair), a mostly not-in-production EMT/SME/ZYX turntable set-up, inexpensive Sanus racks ($840 total), and Kubala-Sosna Elation series cabling ($130,600 total) to draw sweeter, warmer, and more accurate sound from the same LP tracks. 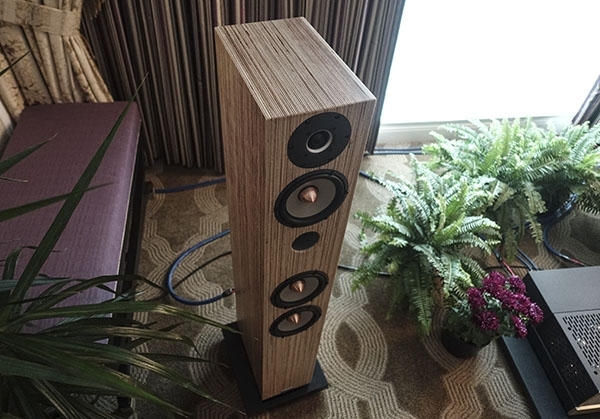 As with Wilson Audio, Magico presented its latest S5 Mk.II loudspeaker ($38,000/pair in M-Cast finish, $42,750/pair in M-Coat finish) in static display. The only element of the original S5 design retained in the Mk.II is the identical extruded aluminum cabinet. All drivers, distilled from the research that culminated in the S7 loudspeaker, are new. The tweeter is a 1" MB7 beryllium dome, and the midrange unit a 6" Graphene NanoTec carbon. This midrange is claimed to have a stronger molecular structure than standard carbon, but is 20% lighter and 30% stiffer than its predecessor. Even though Robert Deutsch has blogged about Magico's new S1, Alon Wolf (right) prevailed upon me to take a (brief) listen. 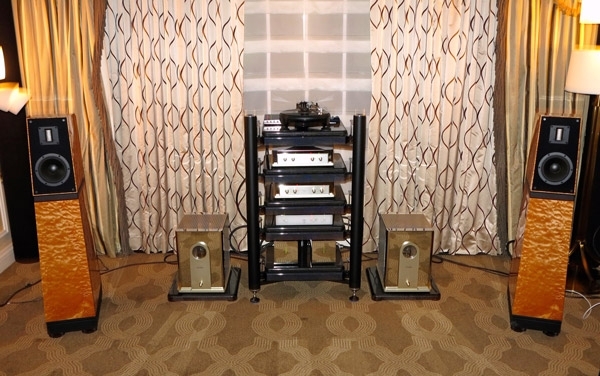 Paired with Convergent Audio Technology (CAT) monoblock amplifiers, the sound was lovely and warm. I did catch a bit of distortion on the right channel at one point, cause unknown, but Joni Mitchell's aging, low voice was maximally evocative, with an extra kiss of tube warmth. 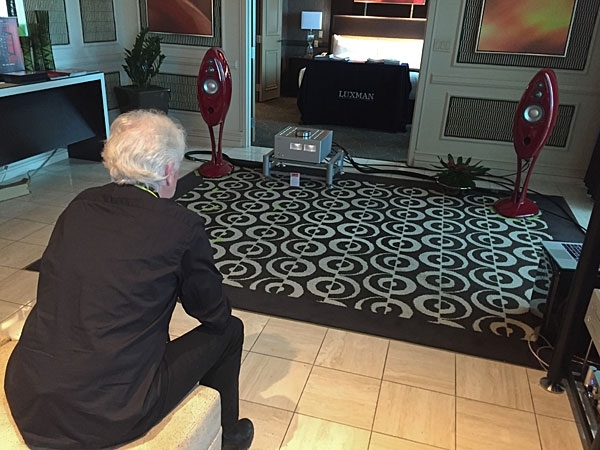 After a quick mid-morning breakfast with Graham Nash that included AudioStream.com's Michael Lavorgna, we headed up to the top floor of the Mirage hotel to start our day at Philip O'Hanlon's On a Higher Note suite. Before we walked into the room, Nash gave me a serious look and explained "What I'm looking for is that the intent of my message, the impact of the song, is communicated intact. This is the first time I've heard these songs outside of the studio, so this should be very interesting. I'm looking forward to this." Before starting in on the room reports, here is a little background on how we set things up. 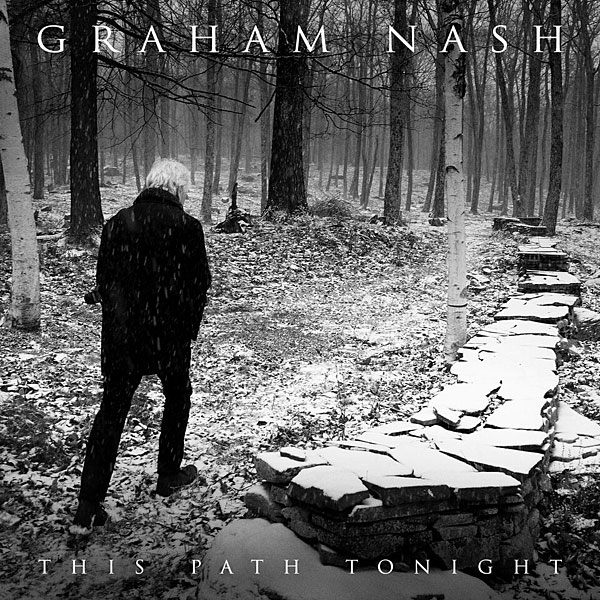 We wanted the best possible sound, so I asked the record label, Blue Castle (formed by Graham Nash and David Crosby), if I could have an HD copy of Nash's new album This Path Tonight straight from the mastering studio. The album was mastered in 24/96 PCM by Bob Ludwig, and the label agreed to supply the first digital copy to be played in the wild on the condition that it never leave Graham's laptop where they would place it themselves. I agreed.